On Monday, Apple revealed it would be introducing a new Apple TV experience, as well as its Apple TV+ original content service, among other Services-related announcements. In an unusual move, Apple confirmed it would be making the app available on hardware by third-party producers, including Samsung smart televisions and set-top boxes from Roku and Amazon. In an interview with CNBC, Wood explained Apple's rationale behind the decision is purely due to where the audience for streaming services reside. Despite having a considerable user base equipped with mobile devices, the same cannot be said for the Apple TV. "Obviously, they're counting on jump-starting [the streaming service] with all of their iPhone and iPad and Mac customers, but actually smart TVs are the way that most streaming services, long-form streaming services are viewed by customers," Wood advised. "That's where they spend most of their hours, and so for any kind of service like that to be successful you want to be on the leading streaming TV platforms." The Apple TV has not fared well in the streaming media market, with one early 2018 report by Parks Associates putting the Apple TV at having a 15-percent share of the market. By comparison, Roku had a 37-percent share. 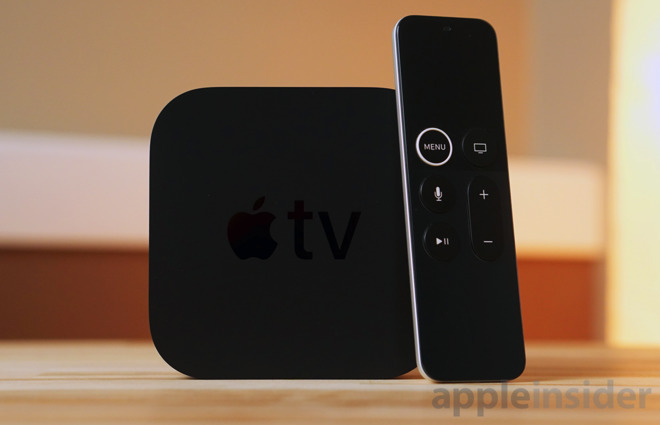 The relatively low market penetration of the Apple TV at one point reportedly prompted Apple to internally discuss the possibility of creating an additional streaming option alongside the Apple TV and Apple TV 4K. It was alleged a streaming stick similar to those offered by Amazon was under consideration as a low-cost alternative, though that has so far yet to make it to market. Evidently, making the app available on competing platforms may have been an easier to perform feat for Apple. Starting in the spring, Samsung's smart TVs will be the first to have the new Apple TV app, followed by televisions from LG, Sony, and Vizio. At around the same time, Apple will bring the app to Roku's set-top box and device line, as well as Amazon's Fire TV range. In the interview, Wood declined to offer a suggestion as to whether or not Apple would succeed in its streaming endeavor in an highly-competitive market, but did point out the additional content of Apple and rivals like Netflix and Amazon Prime is making it "the golden age of TV," one that could "accelerate the switch to streaming" from traditional distribution via cable and satellite.